There are a wide range of attraction nearby, with fun places for all the family and lovely gardens and walks. Some of these have been marked on the map below. The Cotswolds host many annual events including, The Royal International Air Tattoo at Fairford, Badminton Horse Trials, Gatcombe Horse Trials, The Cheltenham Gold Cup, The West Country Balloon Fiesta in Bristol and Frocester Beer Festival which is just a short drive from Waterend Farm. 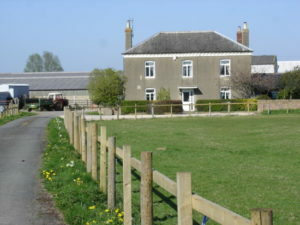 Waterend Farm is just a couple of miles from The Cotswold Way where you will find the Cotswold Gliding Club and many Cotswold Markets Towns. Local produce can be bought at one of the many Farmers Markets held in Stroud and the neighbouring towns and villages.